Today I want to let you know about a couple book releases which most assuredly deserve your attention. Both of them are from long-time blogging buddies...but one is experiencing her first time being published, the other is coming back for more. Jessica Bell's first release, STRING MUSIC, sits proudly on the shelf just above where I'm typing right now. She is an extremely talented writer with a fresh voice that pulls you in from the very first paragraph. Let's find out about her most recent release. Ever wondered how a five-year-old girl perceives the world? 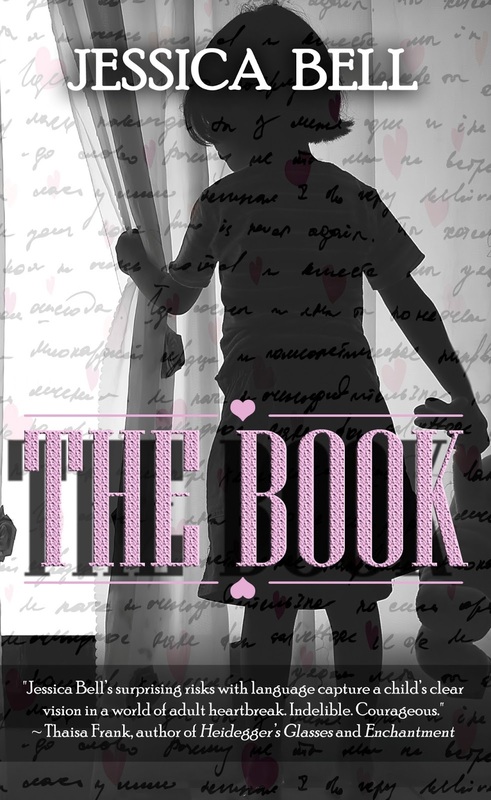 Then you definitely need to get your hands on THE BOOK, a novella by Jessica Bell. Available at all major retailers in e-book and paperback, including Amazon US and Amazon UK. Miranda Hardy is another blogging friend with a new release, but for her this is the first time in the publication saddle. Her book is targeted for our more youthful readers....actually let's let her tell you about it herself. 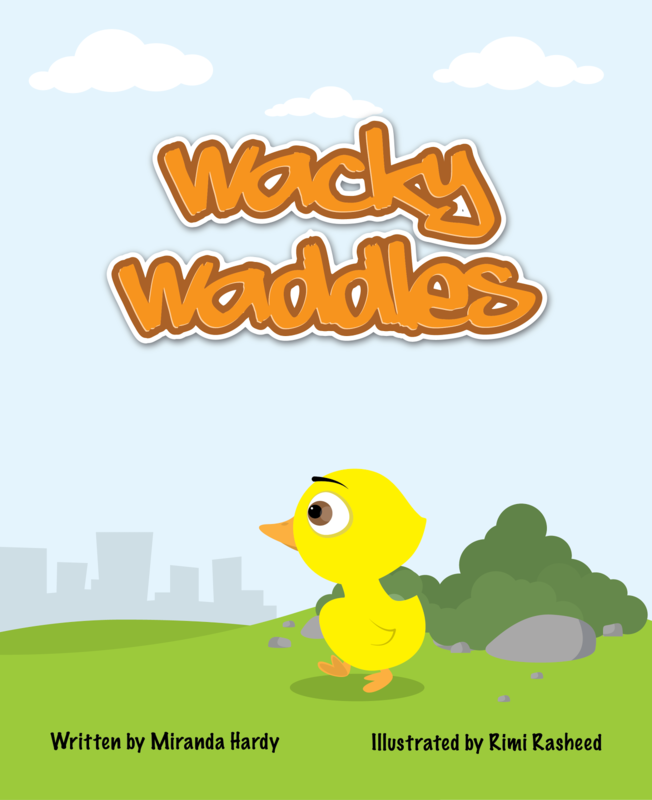 Please join Wacky Waddles on his journey through his new home. Wacky Waddles is a rhyming picture book for young readers written by Miranda Hardy and illustrated by Rimi Rasheed. Wacky Waddles is currently available in print and ebook versions on Amazon, as well as an ebook through Barnes & Noble. Miranda Hardy writes children's literature to keep the voices in her head appeased. When she's not in her fantasy world, she's canoeing in alligator infested waters or rescuing homeless animals. She resides in south Florida with her two wonderful children, and too many animals to mention. Rimi Rasheed is a professional in primary education yet follows a passion in digital illustrating, and much of her work is focused on children. She is well known for her colourful creations of lovable characters, most of which can be found on her blog. She lives in Maldives with her husband and two children. It thrills me to no end when one of my blogging pals breaks that publishing barrier, and I really enjoy helping to spread the news. Help me wish Jessica and Miranda he best of luck with their new books. Thank you so much for the mention! And Miranda, congratulations! Always love seeing new releases. So many books, such little time. OH MY Gosh!! I didn't know about Miranda's release!! EEK!! So excited for her. I've got to go chat with her, like now. And Jessica, yeah...she's amazing. I still need to spotlight her book for her. Thank you, DL, and everyone for the kind words. I can't wait to grab Jessica's newest book. Great job spreading the love DL! We have to support each other the best we can! Congratulations to both!!!! What great news! Big congrats to both authors! The Book sounds very intriguing and I just wish I had someone small to buy Wacky Waddles for! Yeah for both Jessica and Miranda! Congrats to Jess and Miranda!! I have Jessica's book. The premise is just fascinating. Jessica's book has a fantastic blurb. Congrats to Jessica and Miranda! Woot! Hope your week is starting off well, DL. How exciting..... ALL THE BEST, Ladies!!!!!! Congrats ladies. I am pleased for you. Jessica's blurb does sound intriguing and I love the look of that picture book. Thanks for sharing. Thanks for sharing. Wacky Waddles looks awesome! Nice mentions of what sounds like some good reading and something good to read to someone else. Spent yesterday thinking good thoughts about you and yours and today, (my birthday) my wish is for you and yours. It's feels good to spread the word, doesn't it? YAY for Jess and Miranda! Huge congrats to both of them!!! I already read Wacky Waddles and I hope to read Jessica's latest. SUPER great mentions! I've read BOTH of Jessica's books and they are FAB. And the duckie book just looks too cute! Best of luck to both of these guys!